A flight attendant career provides a lifestyle of many wondrous experiences, but also requires a great amount of responsibility. The flight attendant job can be very demanding, expecting a lot from any individual, but the employment is also extremely rewarding. 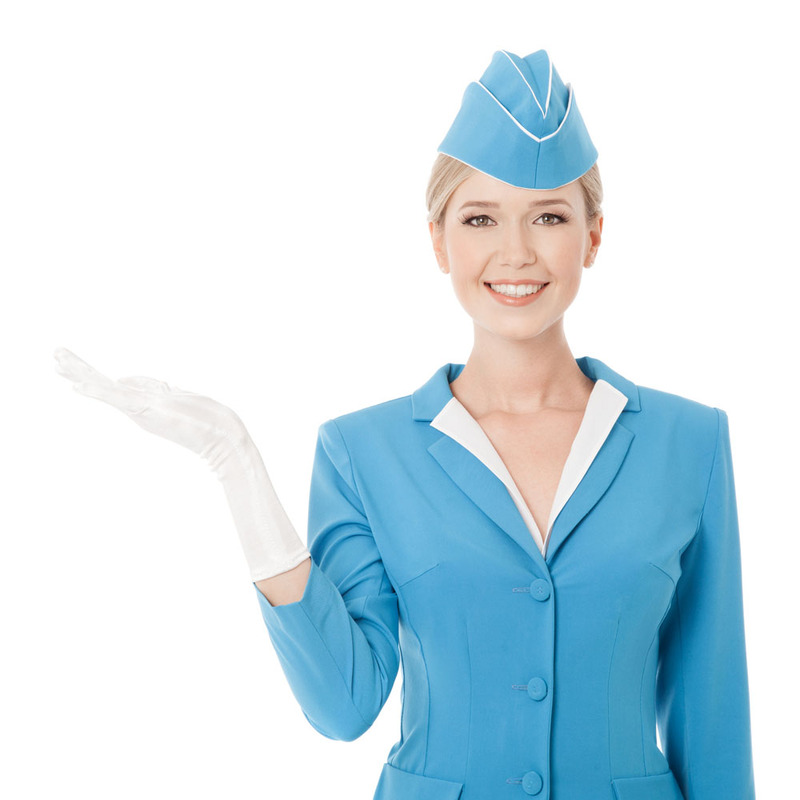 A flight attendant job provides worldliness that most people will not experience in their entire lifetime. One of the advantages of embarking on a flight attendant career is that no formal schooling is necessary. Intense training programs are more than sufficient and in fact preferable, as the duties and demands placed on the flight attendant require a high degree of specialization. A clean criminal record is of great importance, as all flight attendants will receive a mandatory FBI-level 10-year background check. Drug testing is also a hiring requirement and a regular part of the job. While some lenience may be exercised by some airlines at the time of scouting, past criminal transgressions can be a serious hindrance to any persons seeking flight attendant careers. A certain degree of computer literacy is also a must, along with having ready access to the internet and owning a smartphone, as airlines utilize email and text messaging as their primary means of communication. They employ these means to keep flight attendants abreast in real time, of any scheduling and work related issues. Proper, up-to-date documentation is a must, so having a passport, and the ability to enter and leave the country unhindered, is necessary for any person interested in being a flight attendant. One unavoidable requirement for those seeking flight attendant careers is attention to image, care, and appearance. Being a flight attendant requires a good personal presentation. Being able to speak languages other than English is not a requirement, but it certainly is an advantage that can help a flight attendant land a job, as there is more demand and opportunity for bilingual or multilingual flight attendants than for those who only speak English. This is because international flight passengers who are not native English speakers often find it reassuring and useful if flight attendants can speak their language. It will also influence what routes flight attendant may be assigned to and provide advantages in scheduling. The demanding nature of the job means that certain physical guidelines must be observed. Height and weight should be proportional, but excessive weight can make it difficult to get hired as space is limited inside airplanes and this can be a hindrance to a flight attendant’s job performance. Where height is concerned, people taller than 4’10’’ and shorter than 6’4’’ are ideal. Minor disabilities like hearing impairments that require the use of a hearing aid, or mild vision impairment that requires the use of either glasses or contact lenses, are not a problem or impediment for those seeking flight attendant careers. More significant disabilities may represent a problem, but this will vary on a case-to-case basis as not all disabilities are the same. Flight Attendant candidates must have full use of all five senses. Flight attendants are required to have a great amount of interaction with passengers as they are effectively the face of the airline and the main line of engagement with customers. It should come without saying that social skills such as patience, attentive listening, being mindful of tact, and even a sense of humor are vital.